Finished The Top . . .
Now I have to find time to make the back, get it layered, and quilt it, then get it up on Etsy to sell. I saw that Pansy fabric and knew I had to do something to set it off! 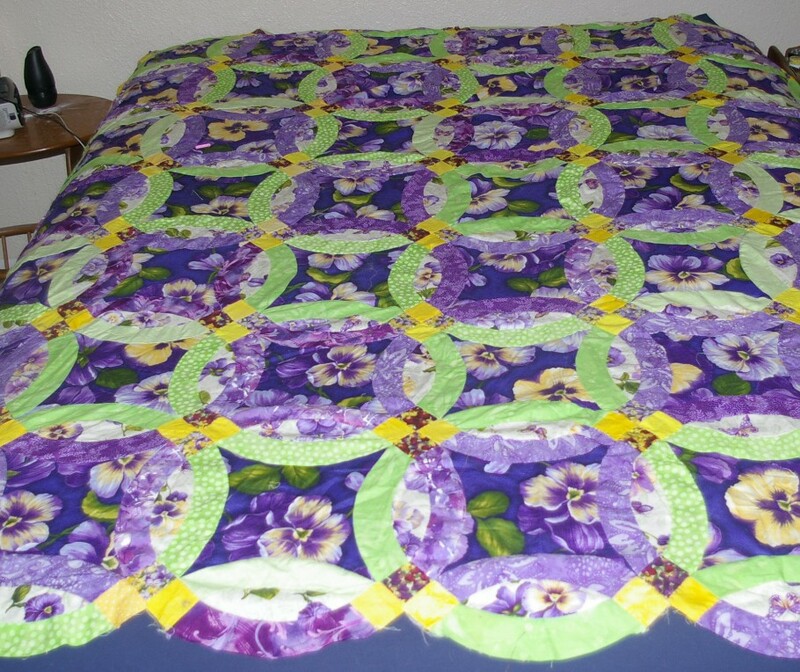 I was on a ‘green and purple’ kick at the time, and I always like flowers…. Well, it IS for sale! GRIN!!! !